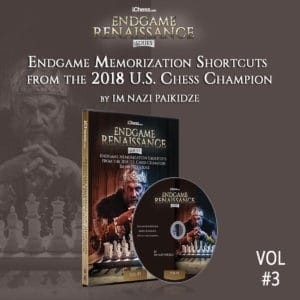 In this 6 hour course, 2018 U.S. Women’s Chess Champion IM Nazi Paikidze trains you in the skills needed for success in the endgame. Not following an effective chess endgame training system is the one issue that keeps 90% of players firmly in the club player bracket when they are capable of so much more. Instead of theoretical positions, this course focuses entirely on the type of positions you’re actually likely to encounter in real games. 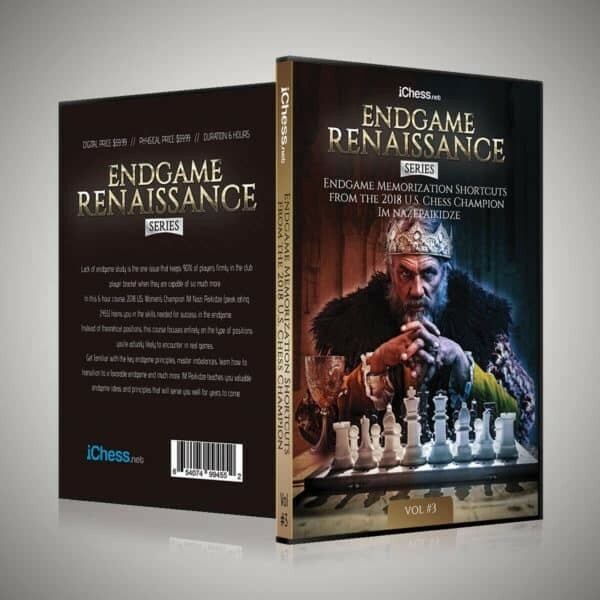 Get familiar with the key endgame principles, master imbalances, learn how to transition to a favorable endgame and much more. Nazí Paikidze, sometimes also referred to as Nazí Paikidze-Barnes, is is a Georgian American chess player who holds the titles of International Master and Woman Grandmaster (WGM). She has won the US Women’s Chess Championship on two occasions, in 2016 and in 2018. IM Paikidze has had a brilliant chess career. She has won twelve medals at the European Youth Chess Championships, World Youth Chess Championships, and World Junior Chess Championships, including six gold medals, in various age categories. By the age of 16, Paikidze had attained a rating of 2455 Elo and was rated 35th in the world’s top FIDE-rated women list. Most club players spend far too little time studying chess endgames. They are not familiar with essential theoretical endgames, nor do they focus on developing good chess endgame understanding and technique. However, decent endgame skills are vital for any aspiring chess player. They can enable you to win apparently equal positions with only a little imbalance, or save half a point from clearly worse positions. First of all, it’s a key skill to evaluate endgames correctly. 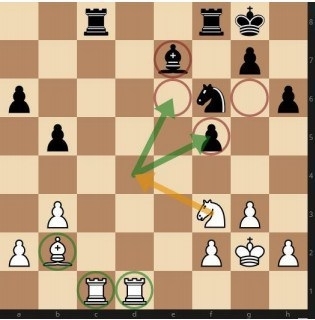 After an exchange of pieces in the endgame, you need to reevaluate the position. Stay objective in assessing the position. If you constantly overestimate your position, for example, things will likely come to a terrible end. Endgames are fundamentally different from middlegames and openings. Therefore, you need some special criteria with which to evaluate endgame positions. The position at hand occurred in a game between Kramnik and Harikrishna. Who is better and why? In order to make the correct decisions in the endgame, you need to evaluate the position. White has an advantage in this position. His rooks are slightly better placed and his dark-squared bishop on b2 is better than its counterpart on e7. Moreover, Black’s pawn structure is worse. Not only can the pawn on f5 become a target, but also the squares e6 and g6 behind the pawn are weakened. With brilliant technique, Kramnik managed to convert his small advantage into a full point. In order to improve your handling of practical endgames, IM Nazi Paikidze suggests two chess endgame training methods. First of all, it is key to carefully analyze your own endings and take notice of your mistakes. Secondly, IM Nazi Paikidze suggests you analyze how top players handle the endgame. If you are unsure how to approach a certain type of endgame, it is always a great idea to look for a role model, a world-class chess player with superb endgame technique. We can learn a lot by simply analyzing their games. According to IM Paikidze, a good starting point is to analyze the games of Vladimir Kramnik, one of the world’s best technical players. IM Paikidze teaches you valuable endgame ideas and principles that will serve you well for years to come.